This study was undertaken to scrutinize the influence of bacterial wilt diseases, growing environment and blanching on potato chips quality on five released potato cultivars grown at Humbo Tabala experimental fields in 2016 Ethiopian cropping seasons. The cultivars were planted in a Randomized Complete Block Design with three replicates. 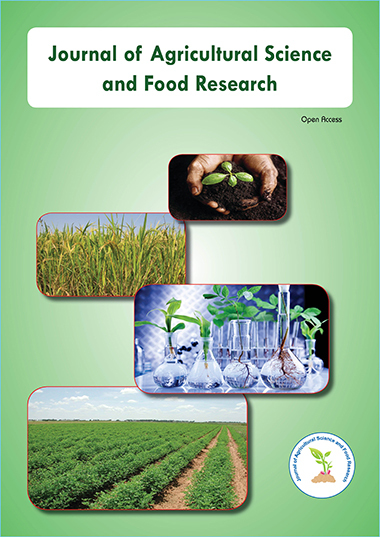 The effect of growing environment on selected agronomic parameters including stem number, plant height, dry matter content, specific gravity, yield and other yield components were studied. Maximum (9.13) and minimum (1.67) stem numbers as produced by Variety 5 and Variety 4. The lowest was produced by cultivar Variety 4 (248.7 g/hill). The highest specific gravity (1.110) and dry matter content (27.33%) was produced by Variety 5, while the lowest specific gravity (1.078) and dry matter content (20.33%) produced by Variety 2. All cultivars produced specific gravity and dry matter content greater than 1.07 and 20%, which is in the acceptable range for chips processing. In the blanching treatment, sliced potatoes were blanched at 90°C for 5 minutes. Both blanched and Unblanched slices were fried at 175°C for 5 minutes using vegetable oil. The quality of chips was evaluated in terms of sensory (sourness, bitterness, sweetness, crispiness, flavor, overall acceptability) and instrumental (texture and color) quality attributes. The sweetness of potato chips was significantly influenced by the interaction effect of bacterial wilt diseases, growing environment and blanching. The interaction effect of variety and growing environment significantly influenced bitterness, crispiness, overall acceptability and texture of potato chips whereas, all sensory attributes were significantly influenced by blanching. All cultivar has got better overall acceptability rated between “like moderately to very much”. The most acceptable cultivars were Variety 4 and Variety 5 (like very much) while cultivars Variety 1 and Variety 2 were rated between "like slightly" to moderately" respectively.